Yes, it was a fun story. Nice, light fluff that gets me through cleaning and driving to work. What was most disappointing about Rebecca Cantrell and Sean Black ’s story? I felt like the ending didn't tie up all the loose ends. It seemed rushed and actually seemed like it needed some more editing. What aspect of Madeline Mrozek’s performance would you have changed? I like the narrator's voice; its perfect for this kind of story. But I wish she would be more clear about which character is speaking. Sometimes different characters sound exactly the same and its hard to tell who is actually speaking; even between the male and female characters. 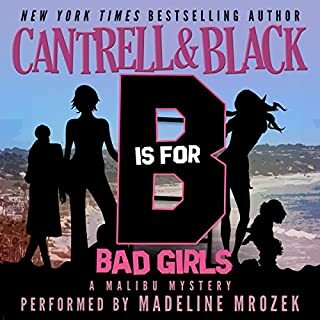 Do you think 'B' is for Bad Girls (Malibu Mystery) needs a follow-up book? Why or why not? Yes! They didn't tie up all the loose ends. This is a fun read and I'm enjoying the series. 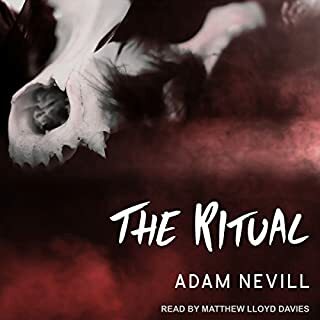 What did you like best about The Ritual? What did you like least? I liked the premise, history and introduction to a different culture that had never been on my radar before. Would you recommend The Ritual to your friends? Why or why not? I would not recommend to every friend, but certainly to those who I know would appreciate at least the same elements I did about the book. What about Matthew Lloyd Davies’s performance did you like? Good voice, not overly dramatic. Maybe a little hard to understand in the latter portions of the book, but it added to the characters and the situation; rather than being an annoyance. Could you see The Ritual being made into a movie or a TV series? Who should the stars be? Actually read the book because I saw the film very recently. I feel like the story could have been trimmed down; it seemed to get bogged down a little in the second half and lost some of its momentum. That being said; there were some genuinely creepy and unsettling parts; overall a fun read. Enjoyed the story. Narration..not so much. Yes, it was a fun story. A different narrator. It was difficult to tell who was speaking most of the time as the narrator did not vary their cadence, tone, depth, etc. And they managed to make nearly every character sound like a snotty child. An innocent family are the latest victims of a grisly series of hideous sacrificial killings that no one understands, and no one can stop. Nobody lives to tell of the unimaginable carnage. Only the blood-stained walls bear witness. All hope rests on Special Agent Will Graham, who must peer inside the killer's tortured soul to understand his rage, to anticipate and prevent his next vicious crime. Desperate for help, Graham finds himself locked in a deadly alliance with the brilliant Dr. Hannibal Lecter, the infamous mass murderer. I would probably recommend the print version to a friend. I would be hard pressed to recommend the audible version due to the narration. 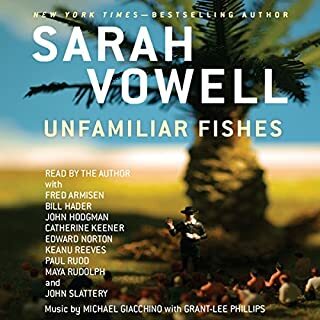 Though the narrator has a good voice for audible books; he failed to give each character some definition in order to tell when each character was speaking; or if they were actually speaking out loud, or voicing a thought in their head. And he failed miserably at any attempts at southern accents. It was if the narrator wasn't really sure how he wanted to approach the performance. 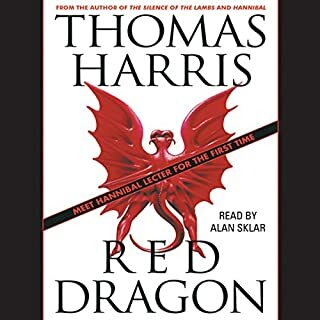 Could you see Red Dragon being made into a movie or a TV series? Who should the stars be? I think Anthony Hopkins has established his superiority as Hannibal Lecter. As mentioned in the subject line; would love it if this book was re-recorded with a more skilled narrator. I would certainly buy it. Other reviewers hype the character development in this story. I'm sorry to say that the character development was rushed and fairly unrealistic for the most part. As was the story itself. The writing seemed uneven. 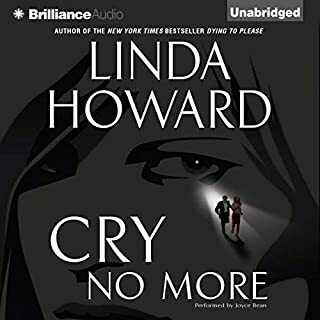 Would you be willing to try another book from Linda Howard? Why or why not? Sure. She's a fun read and I've enjoyed most of her books in the past. Best one was After the Night. The narrator seemed to over enunciate every word to the point that she sounded robotic and lacked any emotion. It wasn't until close to the end of the story that she seemed to sound more relaxed and in tune with the story. Was Cry No More worth the listening time? To be honest; I thought about skipping the rest of the book. I just wasn't invested in these characters' lives. But I did want to find out if Milla found her lost son so I stuck with it. In all fairness; I did not finish this 'read'. Not that the material was bad; in fact, I think it could have been very entertaining as well as informative. The narration of this material was the problem; in this case the author read the book. She might possibly be a fantastic lady; but I have never heard a more whiney, nasally, self righteous sounding voice in my life. The rythm of her speech is painful to listen to; and passages that even I could tell should have been amusing; just fell flat. Another issue I couldn't understand was the brief interjection of the other narrators during her reading. I guess I thought each narrator would read sections of the book where their voices might be best applied. Not so. For example, the author would introduce the diary of one of the characters and then one of the narrators would jump in for a very brief reading of one or two lines; and then the author would continue reading. I hate to suggest not listening to something on this website; but I think you will be better off just reading this particular book instead of trying to listen to it. This is not an easy read...er, listen. The story is bleak, heartbreaking, frightening and profound. I have always liked this author for his dreamlike and direct writing style. He's not easy though; and I do struggle through his books, but I never feel disappointed when I'm done. Not only was this book very well written; the narration was excellent. I felt Tom Stecheshulte had the write rythmn; the right inflections and emotion and the write change in voice to bring this story to life. 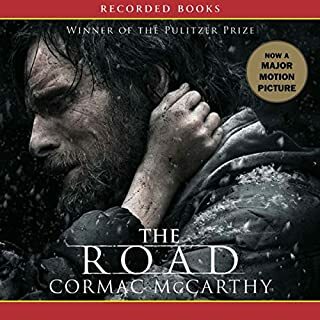 I tend to imagine a story more vividly with audio than when reading and I felt that his narration only enhanced my experience. You take your chances when having a book read to you. 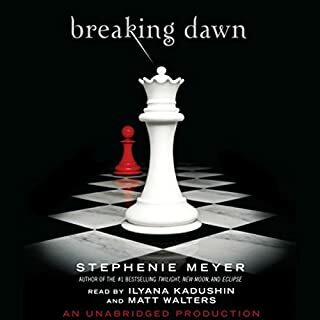 I have listened to quite a few audio books and I find it incredibly distracting and almost disgusted when the narration is even remotely sub-par. There is no danger of that on this reading. Cormac is not for everyone, but if you keep an open mind you might be very glad you took the time to experience this story. I had been looking forward to this book for several months and I enjoyed listening to it. However, I think the author tried to cram too much into too few pages. She covers a lot of ground so its hard to get emotionally connected to any of the events and a lot of the characters. It seems like the mysterious fairy war should have been a book all on its own to have any kind of impact. The story felt rushed and seemed to end abruptly. 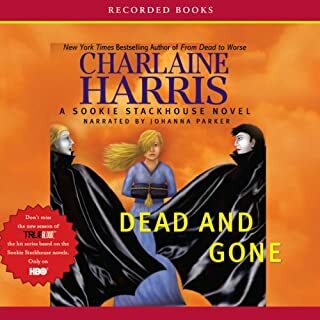 I would recommend this to Sookie fans, but I would have to tell Sookie newbies to start at the beginning of the series to have any idea what's going on. As far as the audio is concerned; I wish they had chosen someone else to read this. The narrator was not as good as others I've heard.